If Dan Quinn is serious about stockpiling former Buc head coaches, another one just became available. Greg Schiano was all set to oversee New England’s defense when he spiked the playbook in Foxborough, saying he wanted to spend more time with his family. That’s a noble thought, but the timing of the announcement looks fishy and it will be awhile before we know the real story. This seems to be one of the few moments in life when Bill Belichick was caught unprepared. Not long before Schiano reversed course, Belichick appeared on a SIRIUS radio show, lauding Schiano as a valued addition to his coaching staff. Now Schiano is potentially in line to take his place in Atlanta alongside Raheem Morris and Dirk Koetter. Can Lovie Smith be far behind? Quinn’s offense hasn’t been the same since Kyle Shanahan was hired by John Lynch two years ago to coach the 49ers. With Shanahan calling the plays, the 2016 Falcons led the NFL in scoring and would have beaten the Pats in the Super Bowl if they could have held onto a 28-3 advantage. Quinn believes that Koetter’s second stint with the Falcons might spur Matt Ryan to return to his league MVP form. 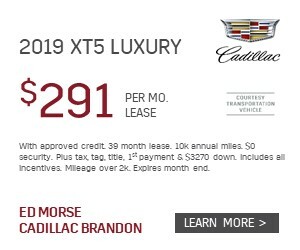 Koetter will be working closely with Morris, a Quinn confidante who is juggling several titles — assistant head coach/offensive passing game coordinator/wide receivers. That’s a lot of responsibilities for a charismatic guy who can’t seem to get a sniff when it comes to head coach vacancies. Koetter has been a successful NFL offensive coordinator everywhere he’s worked, including Tampa. When Koetter ran Lovie Smith’s offense in 2015, the Bucs ran the football very efficiently, easing the burden on a rookie quarterback named Jameis Winston. Perhaps Quinn can find a place for Schiano as an assistant to address issues on the NFL’s 28th-ranked defense. A 7-9 finish prompted a flurry of staff changes and roster changes as Quinn tries to return the Falcons to prominence. Koetter’s offense in Tampa suffered when he was buoyed down with head coach responsibilities. He has plenty of talent to work with in Atlanta, especially if Devonta Freeman returns to form after two injury-plagued seasons. In a way, the 2019 season in Tampa looks like a referendum on Koetter’s previous staff. Bruce Arians has surrounded himself with familiar assistants and if there is significant improvement from this 5-11 rut the Bucs are in, we’ll know the key missing component has been coaching rather than talent. “He brings a lot,” Quinn said. “Going against Bruce through the years, one thing you can count on is that his team is going to be physical. It was that way in the run game, it was that way in their ability to use speed to take shots downfield. Defensively, Todd Bowles has always had a good feel with the pressure packages he’s designed. Ira Kaufman began covering the NFL as a New York Giants beat writer in 1979. 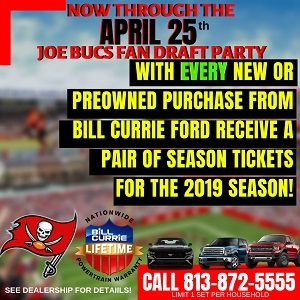 He arrived on the Buccaneers beat in 1985, Finally, the corporate leash was removed from his neck when he joined JoeBucsFan.com in July 2016. The award-winning Ira Kaufman Podcast fires twice per week, and Ira’s columns appear thrice weekly, except when Ira is on special assignment. 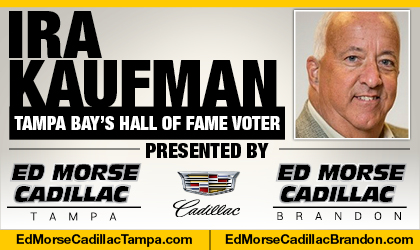 Tampa Bay’s only Hall of Fame voter also is a popular guest on various national radio and on local TV. He’s also co-host of TAMPA TWO at The Identity Tampa Bay, which returned to its regular format in March. With Schiano it very likely could be that real and troubling stuff will immerge soon on the ongoing civil suits of the young men that attended Penn State University, during the Jerry Sandusky years coaching there, when Schiano was still on staff, and many intial affidavits from a multitude of sources reported that Schiano had knowledge of things surrounding Sandusky and the young men, and allegedly didn’t do squat about it. It’s been out there prior. Those trials have been continuing for quite a while, some have remained under an NDA, some have not, but we all know how worthless NDA’s can ultimately be, in the TMZ era. My guess is, Schiano wanted to duck and run the public life after giving an indication by his attorney’s, before some of that involving him might hit the fan…. i find it hard to believe that the previous staff can go 9-7 in their first but 5-11 back to back years after adding more talent thru the draft and FA….and how players like spence, VHG, and winston to an extent regress after being in the same system for years…. i find it hard to believe that licht struck out on every player he drafted and the entire scouting department at OBP cant recognize talent…..
now go draft ed oliver!!!!!!! Patriots site someone said allegedly it may be domestic abuse last month but Im guessing that would be easy to trace. Go bucs get devin white and licht is just a horrible gm who picks lousy players that can be had in later rounds….i mean kappa? rojo? Schiano has troubles with the wifey. That’s usually the case when someone references their faith or needing to spend more time with the family. I wish him the best but he’s not going to be coaching anywhere for awhile unless he gets divorced and needs to pay the ex. As for Atlanta – meh. That team doesn’t scare anyone. Happy late 3/28 by the way! Jeebus Quinn is desperate, every coach on the offensive side is a failed NFL head coach. the Schiano thing is the type of retirement you make with a gun to your head. He was allowed to exit gracefully as opposed to getting fired. I don’t think he’s getting ensnared in the Penn State mess, his only mention in any of that was 3rd hand hearsay account. Maybe he flipped his wig over Micheal Bennett? Maybe he’s telling the truth and woke up one morning and said I don’t want to do this anymore. Duthsty Rhothdes Says : Patriots site someone said allegedly it may be domestic abuse last month but Im guessing that would be easy to trace. You are the fourth source that has mentioned this, read it in three other sites, starting to wonder now if it is true…….Where there’s smoke there is fire. So while Quinn and other coaches who have gone to a Super Bowl hire coaches they’ve never worked with the Bucs new coach only hires his friends and former players? When will the Bucs learn to hire the best and not just your friends? @Wombat…ur wrong on your characterization of Schiano’s role or distant involvement in the Penn State fiasco. Gotta do your homework, beyond what just pops up first at arm’s length on a Google search. There may indeed be new issues at home of domestic abuse allegedly, but everyone’s gotta do their homework thoroughly on his past interwoven goings on at PSU. In 2015 teams were after Koetter because he took the Bucs O to a level never seen in Tampa before. Fast forward to 2018 and teams knew Koetter was on the hot seat and probably was going to be let go but not one team was interested in him as a head coach. Of course coaching is a huge issue with the Bucs. Arians should be able to squeeze another 3 wins out of this team to go 8-8. If the defense gets to average maybe they will go over .500.